Form Follows Function. A new approach to determining vessel function. van der Veen. Internet Archaeol. 50. Summary. 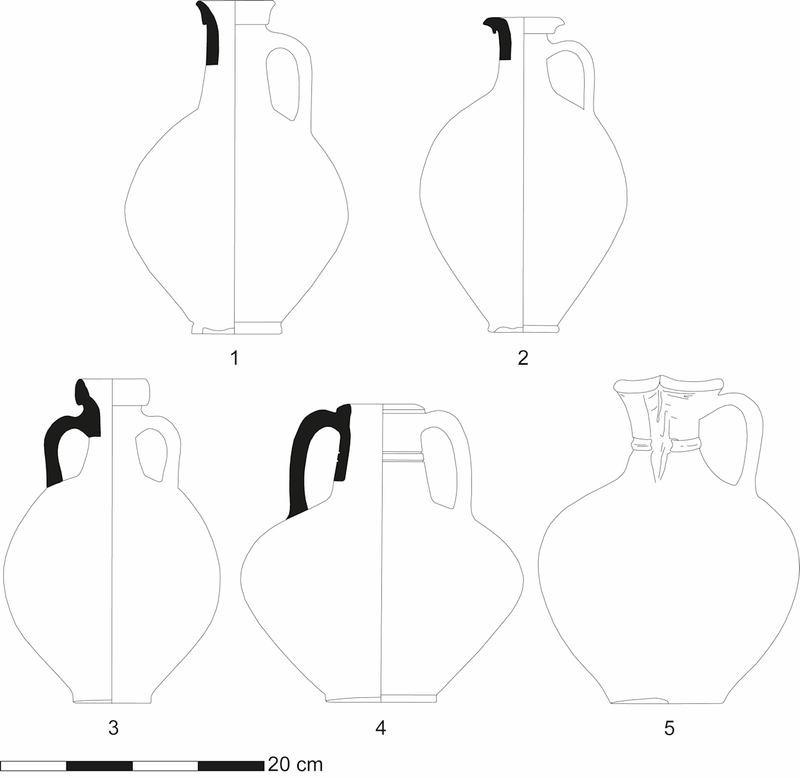 In this article I present a theoretical model for assigning functions to categories of Roman ceramics. This model was designed to make broad statements about assemblages that are too large to analyse in detail. It is therefore based on the 'ideal use' of a vessel - i.e. the function the potter had in mind when he chose the clay, temper, forming techniques and so on - rather than 'non-ideal' or actual use. Characteristics considered are, among others, shape, size, weight, surface treatment and wall thickness. Seven distinct functions have been identified, taking the inherent multi-functionality of certain vessels into account. In many cases an individual vessel type will be suitable for more than one function. In a case study the commonly made functional distinction between smooth-tempered one-handled flagons (kruiken) as tableware and two-handled flagons (kruikamforen) as storage vessels is challenged. Furthermore, differences in their deposition within both grave and settlement assemblages are explored.